Sergeant Harvey Dreaver, son of Chief Joe Dreaver of the Mistawasis Band, was killed in action during the battle at the Leopold Canal and is buried at Adegem Canadian War Cemetery in Belgium. During World War I (1914–18) and World War II (1939–45), thousands of Aboriginal men and women voluntarily enlisted in Canada’s armed forces. They served in units with other Canadians, fought in every Theatre in which Canadian forces took part, and more than 500 status Indian servicemen lost their lives on foreign battlefields. An estimated 800 men and women from First Nations in Saskatchewan served during the World Wars and in Korea. Although reliable statistics are not available, the official record lists more than 100 status Indians from Saskatchewan who served during World War I, including over half of the eligible adult males on the Cote Reserve. Overseas, Aboriginal soldiers were recognized as effective snipers and scouts, endowed with courage, stamina, and keen observation powers. At home, Saskatchewan Indians also donated $17,257.90 in support of the war effort—almost double that of any other province. The File Hills community alone raised $8,562 for the Red Cross and Patriotic Funds, while Aboriginal women formed Red Cross societies, organized patriotic leagues, sewed, and knitted socks and sweaters for the troops overseas. The school Children of Gordon’s reserve knitted seventy-five pairs of socks and raised money for the Belgian Relief and Soldier’s Tobacco Funds. A serious issue arose about the federal Military Service Act (1917), which conscripted Canadians for overseas service: although there is no reference to military service in any of the written treaties, oral assurances recorded during negotiations for Treaties 3, 6, 8 and 11 promised that Indians would not be forced to serve in foreign wars. After concerted protest, the government passed in 1918 an Order-in-Council exempting Canadian First Nation peoples from conscription. The Department of Indian Affairs trumpeted the achievements of status Indians at war’s end. 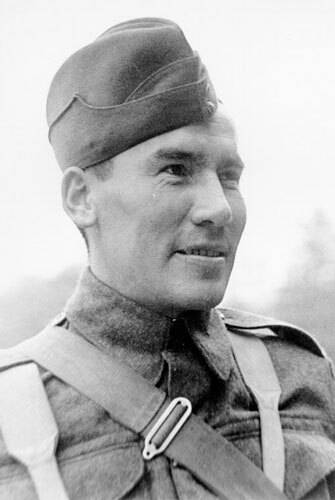 And in 1920 Edward Ahenakew could proclaim: “Now that peace has been declared, the Indians of Canada may look with just pride upon the part played by them in the Great War, both at home and on the field of battle. Not in vain did our young men die in a strange land; not in vain are our Indian bones mingled with the soil of a foreign land for the first time since the world began.” Exposure to the broader world changed veterans profoundly—but they returned to the same patronizing society they had left. Inequitable veterans’ settlement packages disadvantaged many First Nation persons, and the Soldier Settlement Board acquired more than 69,803 acres of Saskatchewan reserve land to settle non-First Nation veterans. Despite interwar discontent, Saskatchewan’s Aboriginal peoples again answered the call during World War II. More than 440 Saskatchewan Indians enlisted for military service in this conflict (including at least 22 women), with the highest enlistments from the Carlton, Crooked Lakes, and File Hills agencies. Twenty-seven of these soldiers were killed or wounded. Overall, Aboriginal enlistments from Saskatchewan were undoubtedly higher than these figures because Non-Status Indians and Métis were not differentiated from non-Aboriginal Canadians. On the home front, women’s service clubs and community groups again raised funds for the Red Cross and other war charities. Indian Affairs records indicate that many donations went directly to local organisations, and that “substantial donations of furs, clothing and other articles were made, the monetary value of which has not been calculated.” The difficult question of Indian conscription also arose; while the federal government did not grant a blanket exemption to Indians during World War II, liberal exemption policies ensured that few if any Aboriginal conscripts were sent overseas. Aboriginal servicemen and women had again fought overseas as equals, and returned home with a self-awareness that that they were not “second-class” persons. They sought the same principles of democracy, freedom, and equality for which all Canadians had fought and died. After the war, however, First Nations veterans did not receive the same treatment as other Canadians, particularly in the limited Veterans Land Act benefits available to them. After 1950, disillusioned veterans thus took a leadership role in Aboriginal social and political movements, including the Federation of Saskatchewan Indians. The Saskatchewan Indian Veterans’ Association (now the Saskatchewan First Nations Veterans’ Association) was incorporated in 1982 to focus solely on veterans’ issues and seek restitution for discriminatory treatment. For two decades they lobbied provincial and federal agencies, and initiated court actions seeking damages. The Saskatchewan Métis Veterans’ Association undertook similar actions for Métis veterans. In recent years, Aboriginal Veterans have received acknowledgment for their special service during the World Wars. In 2002, the federal government offered a redress package of $20,000 to individual First Nations veterans; in November 2004, the Federal Interlocutor for Métis and Non-status Indians announced $100,000 in funding for Métis veterans to promote their contributions to war-time efforts. For some Saskatchewan veterans, both offers represented long overdue recognition. For others, it was too little, too late. Dempsey, L.J. 1999. Warriors of the King: Prairie Indians in World War I. Regina: Canadian Plains Research Center; Gabriel Dumont Institute of Métis Studies and Applied Research. 1997. Remembrances: Métis Veterans. Regina: Gabriel Dumont Institute; Sweeny, A. 1979. Government Policy and Saskatchewan Indian Veterans: A Brief History of the Canadian Government's Treatment of Indian Veterans of World War Two. Ottawa: Tyler, Wright and Daniel.